At the end of every summer as one-year leases wrap up and students move out, items ranging from textbooks to sofas get piled on curbs, mostly destined for landfill. Meanwhile, in early September, students move in and are looking to buy items ranging from – well, textbooks to sofas. Wilfrid Laurier University’s Sustainability Office seized on the opportunity to match up the needs while reducing waste. From Aug. 22 to 28, students are encouraged to donate clean clothing, school supplies, household items and non-perishable food to 57 Lodge St. Students can also sign up for a truck to come around to pick up large items such as furniture. Then, from Sept. 2 to 7, students can shop at the pop-up Freestore, also at 57 Lodge St., to pick up items they need – all at no cost. Volunteers are needed throughout the process. 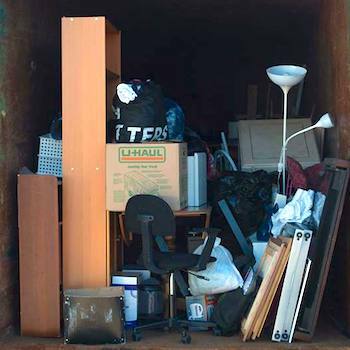 Since 2015, Laurier’s April Move Out program has diverted unwanted items to charitable organizations. The new Freestore initiative is in response to the Region of Waterloo’s findings that there is a higher volume of curbside waste at the end of August. Rosemary Brockett, a third year Psychology student who is working with the Sustainability Office for the summer, is playing a major role in organizing the Freestore. She says she’s happy to be doing something concrete to help both students and the environment. Any leftover items will be donated to recycling partners, including Diabetes Canada, Textbooks for Change, the Food Bank of Waterloo Region, Habitat for Humanity ReStore, and Tech Wreckers. On Sunday, Sept. 2, Shinerama will be holding a fundraising barbecue at the Freestore in support of cystic fibrosis. The Freestore is a pilot project. However, Plante and Brockett hope it will become an annual event. “It will reduce the stress on the curbside pickup for the region, reduce the volume going to landfill, reduce the headache for students that don’t want to throw their stuff out but don’t think there are any options, and provide used items that are in good condition to incoming students,” says Plante. For the Freestore initiative to work, it needs volunteers from all sectors of the Laurier community, including people able to come out on weekends. Students, staff and faculty members are needed to help collect donated items, sort them and then help operate the Freestore. Student volunteers will be able to get Experience Record credit. Staff and faculty volunteers are particularly needed to drive the Laurier cube truck to pick up large items. Members of the Laurier community can drop off clean items in good working order at 57 Lodge St. between Wednesday, Aug. 22 and Tuesday, Aug. 28, including over the weekend. Drop-off hours are noon to 4 p.m. on weekdays and 10 a.m. to 4 p.m. on the weekend of Aug. 25-26. Students can request large item pickup during the same hours by signing up through bit.do/Large-Item-Pickup. Pickup is limited to student-heavy neighbourhoods near Laurier. In addition to clean, good-condition clothing, books, household items, electronics and furniture, donations of non-perishable foods and unused wellness items such as toothbrushes will be accepted. Students can pick up items from the Freestore on 57 Lodge St. on Sunday, Sept. 2 from 10 a.m. to 4 p.m. and Monday, Sept. 3 to Friday, Sept. 7 from noon to 4 p.m.
On Sept. 2-3, there will be a five-item limit per person per day. From Sept. 4-7, students can pick up as many items as they want. Students who want large items but can’t transport them immediately can have them tagged, which will give them a chance to arrange transportation before returning to pick them up. Pickup must be during Freestore hours.